Xively has a heap of APIs so you can access your feed data in other ways rather than just loading up the web page. 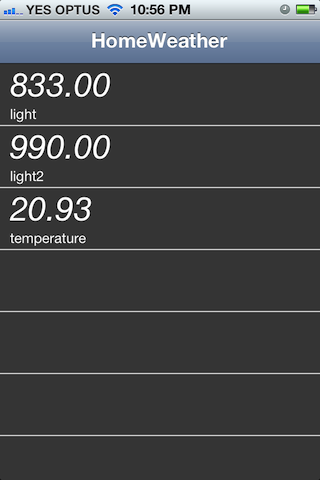 I was able to use their sample code to put together a simple iOS app that lets me check the temperature and light levels in my study at any time, from anywhere. 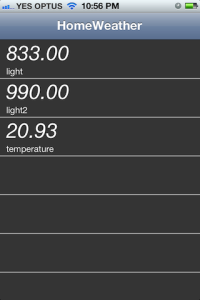 It’s nothing fancy but a good proof of concept.